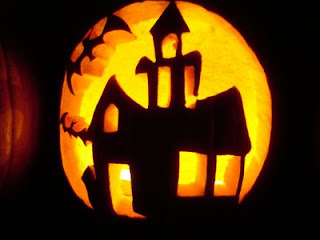 Create a paper or virtual flyer with a haunted house motif and the things that home sellers should beware of (and fix or remove) when listing their house, include things like mold, clutter, leaking roof, pet smells, etc. Also create one for buyers with things they should look out for when purchasing a home. Send this in the mail or via email to your current clients and put a stack of them in your real estate office for walk-ins. Your assistant at Best Agent Business can develop this for you!